Some of the strongest projects in the history of knitscene magazine still come from our Accessories special issues, which ran annually from 2012–2015. This special publication was jam-packed with over thirty accessories projects per issue, totaling 133 projects in its four-year run. Time and time again we see the projects crop back up on Ravelry because of their relentless popularity. 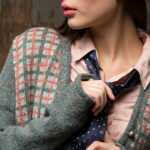 In the spirit of celebrating five years of knitscene Accessories 2013, let’s take a look at the top three most popular patterns on Ravelry. Are they your favorites? Share your thoughts in the comments below! 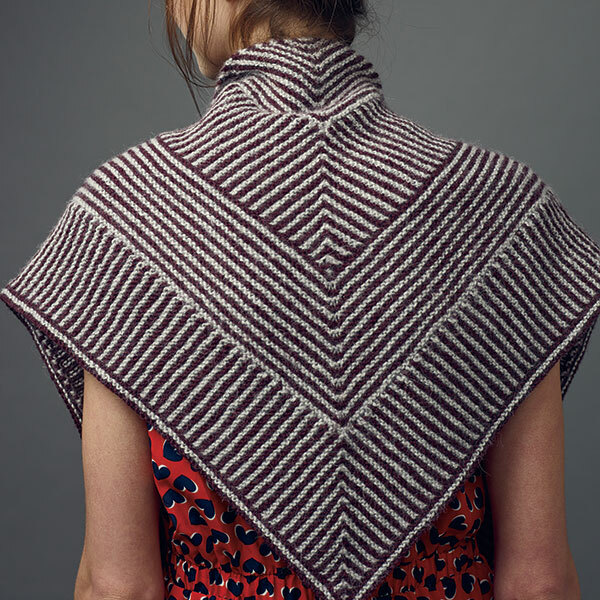 The Resistance shawl is worked from the top down, beginning with a mitered triangle to which additional levels are added by either working from live stitches or by picking up and knitting stitches. For a neat edge, carry yarn along the edge of the work as follows: work the first stitch of the row in the new color, bring unused yarn from back to front, then knit the next stitch. On the return row knit to the last stitch of the row; bring unused yarn from front to back, then knit the last stitch. Put this useful knowledge to work when you order the Resistance Shawl Knitting Kit! The So Faux Cowl is worked in the round from the bottom up. On the wrong side of the work, catch floats measuring 1″ or longer by working to midway point of float on the round above the float. Insert the right needle knitwise into the stitch on needle, then pick up the float and knit two together. The Icelandic Star Cowl is worked flat from the top down. A circular needle is used to accommodate the large number of stitches. The chart is worked using the intarsia method. Join a new strand of yarn for each block of color and twist yarns at each color change to avoid holes. Weaving in ends as you go reduces the number of ends to weave in during finishing. The Icelandic Star Cowl is now available as a kit, so you can get all the yarn and a copy of this issue right here with one click! 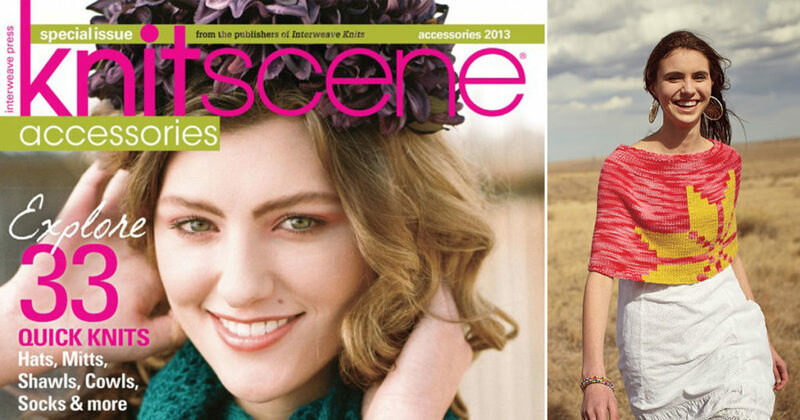 Get all the knitscene Accessories special issues and patterns! I made the Icelandic Star Cowl a few years back, in a tonal green with a variegated yellow star, and it’s still one of my favourite cowls today.